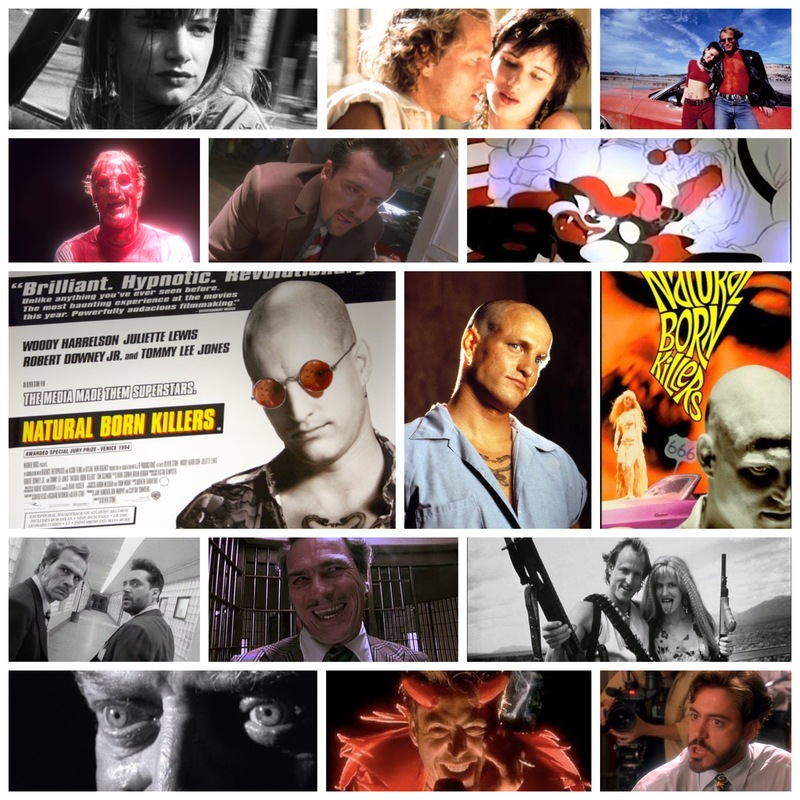 I will sing the praises for Oliver Stone’s Natural Born Killers til the day I either die, am too dementia ridden to compile a coherent review or too arthritic to type anymore (you folks will get some peace and quiet on your social media once any or all of the above happens). This film is less a film than it is a writhing elemental force, a cinematic being brought to life by tools seldom used in Hollywood, namely the sheer audacity of Stone’s frenetic filmmaking style. The MPAA kept an R rating just out of his reach for a while before finally conceding, harping to him that though he cut violent bits here and there to make it semantically tamer, it was the general aura of chaotic madness that irked them so. Stone considers this a compliment, and well he should, for its not everyday that an artist so fluidly taps into the artery of violence and the many catalysts of it in such a primal, intangible way that brilliantly splices what compels us with what appalls is, and the scarily thin line that wavers between them. This film is many things: a psychedelic road flick, a blistering indictment of sensationalist American media and the decaying degeneracy it breeds, a hallucinatory mood piece, a severely expressionistic action film, a thriller, a chiller and the list goes on, but more important than all of those is the love story that ties it all together. Juliette Lewis and Woody Harrelson are sticks of poisoned dynamite as Mickey and Mallory Knox, two twisted up kids on the run from everyone and everything, products of the darkest bowers of bizarro world Americana, deeply scarred by their pasts, fully committed to the wanton murder spree they’ve engaged in and unapologetic about the wave of carnage they’ve left in their wake. Demonized at every turn by the powers that be and everyone else in between, it’s easy to see why a system feeds two sick souls like this with infamy and notoriety instead of helping them. Anything for that big ol’ dollar sign, or simply whatever fills the void. We see the sickness creep after them, ever present in creatures like Tommy Lee Jones’s fire and brimstone prison warden, Robert Downey Jr.’s manic, sickening enabler of a talk show host and Tom Sizemore’s psychotic, gung-ho detective Jack Scagnetti. There’s a saying out there that goes “animals are beasts, but men are monsters, a sentiment that Stone has taken and run right off the cliff with, blasting us in the face with humanity’s very worst for a solid two hours, until he’s damn sure we catch his drift. The film is a stylistic tornado, every kind of colour, lens, filter, soundscape, visual trick and style of editing used until we realize we’re watching something truly unlike anything before, and likely after as well. Mallory’s backstory is staged in a stinging sitcom format as she’s terrorized by her abusive father (Rodney Dangerfield, cast grotesquely against type). Mickey breaks out of prison in black and white Lone Ranger style. A drug store Mexican standoff is painted with swaths of neon vomit green. Shadowy title cards and striking lighting are used in a sequence where the pair visit the lonely desert hut of a prophetic Indian (Russell Means). Visions dance on walls like spectral tv screens, faces leer and loom out of shadows for no apparent reason other than to add to the beautiful commotion, characters skitter through frames looking for a moment like demons. There is no other film like this, no other experience rather, an animalistic treatise on primal human urges, societal constraints that bind them, loosely and laughably out of place when you consider the dark urges within everyone. Amidst all this chaos though, like two corrupted beacons, are Mickey and Mallory. This is their story, and despite being a chief cause of the chaos I just mentioned (the universe has a sense of irony), it’s a love story, they being the centrepiece and everyone else rushing past like dark passengers in a swirling sideshow to their main-tent event. They’re brutal serial killers, no question, but they’re tender and caring with each other, and we see hints at a collective sweet disposition hiding below all those years of built up scar tissue. It’s a gorgeous film, full of scream-at-the-heavens ugliness, imagery that burns a patchwork quilt of impressions straight into your soul, an angry satirical edge that cuts like a knife and so much overflowing style you could watch the thing a thousand times and still pick up on things you never saw before. From the first cacophonous diner slaughterhouse set piece, to the second half of the film that descends into a regular Dante’s Inferno of a prison riot, this film is truly something else, in my top ten of all time and a uniquely affecting experience that has shaped the way I’ve watched films ever since. Plus that soundtrack man.. the story is set to every kind of music out there including Trent Reznor, Lou Reed, Patsy Kline, Peter Gabriel, Dre, Mozart, Marilyn Manson and so many more, with a pair of perfectly nailed opening and closing numbers warbled by Leonard Cohen. Everyone and anyone has quick bits and cameos to support the titanic work of the main cast too, including Denis Leary, Ashley Judd, Arliss Howard, O Lan Jones, Pruitt Taylor Vince, Jared Harris, Mark Harmon, Balthazar Getty, Marshall Bell, Louis Lombardi, Steven Wright, Rachel Ticotin, James Gammon and more. What more can be said about this film? It’s a natural born classic.